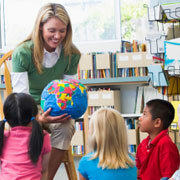 Our learning and teaching qualifications are designed to enhance the quality of teaching and learning provisions. SQA offer a wide range of qualifications from: e-Assessment and e-Learning to Front Line Guidance, and much more. Choose an SCQF level below to see all the SQA qualifications in the Learning & Teaching Skills sector. Choose a SCQF or RQF/CQFW level below to see all the SQA qualifications in the Learning & Teaching Skills sector.